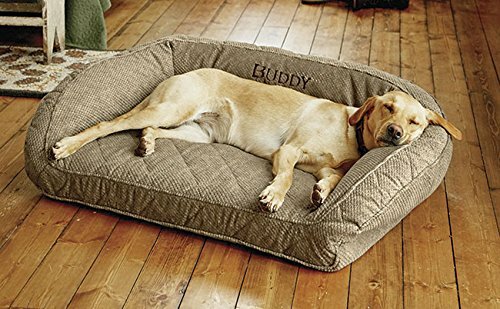 DogBedX › Products › Orvis Memory Foam Bolster Dog Bed with Snap-Off Pads/Medium Dogs 40-60 Lbs. 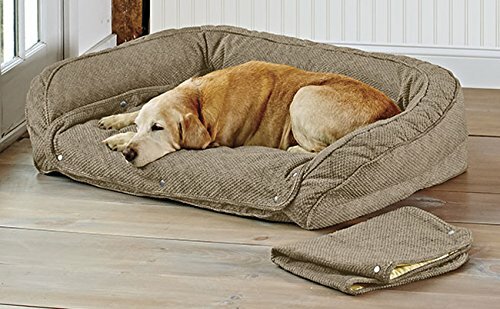 Orvis Memory Foam Bolster Dog Bed with Snap-Off Pads/Medium Dogs 40-60 Lbs. Accidents happen. That’s why this Memory Foam Bolster Dog Bed with Snap-Off Pads is perfect for senior dogs, puppies, and dogs recovering from surgery. 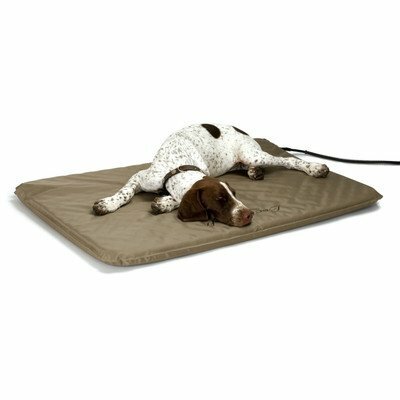 When your dog leaks or the pad gets dirty, simply unsnap the sleep surface and toss it in the wash. 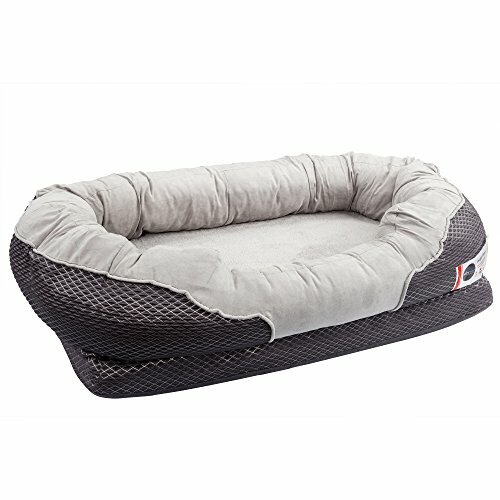 The bed comes with two snap-off pads so your dog never has to wait for a clean bed. The memory foam cushion, designed and calibrated specifically for canines, supports joints and provides true orthopedic benefits. 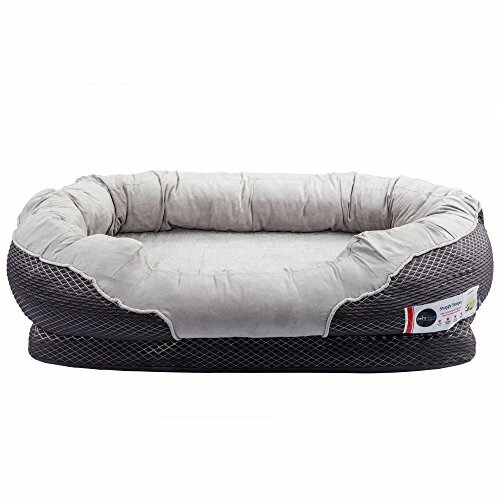 The plush, microfiber quilted surface and streamlined bolster add comfort and security, while a water-resistant liner keeps the memory foam clean and dry. Polyester cover. Cover and extra sleep surfaces are removable and washable. Allow 2 extra days for delivery. Imported.